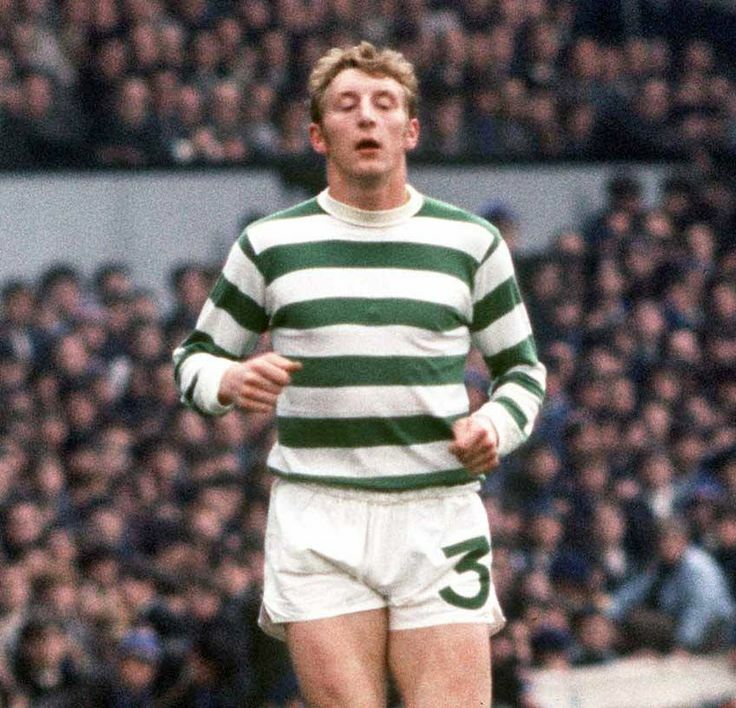 TODAY SAW THE PASSING of the great Celtic and Scotland full back, Tommy Gemmell, immortalised ‘Lisbon Lion’, and formidable warrior in the green and white hoops for a decade between 1961 and 1971. Tommy, a driving force of nature from his defensive berth scored in two European Cup Finals for Celtic, most memorably the pile driving hammer blow that bulged the much-fancied Inter Milan’s net in 1967. The Craigneuk, Wishaw man played on some 418 occasions for the Bhoys, scoring a remarkable 63 times and making 18 appearances in the Dark Blue of Scotland. The Celtic defender was also a fearsome penalty taker with a success rate of 34 goals from 37 attempts. It is my belief that the Celtic side of that era was not only the finest club side in the world but certainly the best I have witnessed in my fifty-something years of watching the beautiful game. That every player in that side hailed from a reasonably close radius of Glasgow made their greatness even more notable. it is a great and wonderful player indeed that can dominate in that kind of company for such a prolonged and consistent period. It was a memorable night indeed 25 May 1967 when I ran home from playing football on the local recreation ground with my friends to find a place with my dad in front of the small black and white TV in the corner of the room. Although dad and I were died in the wool Hibs fans, Celtic represented not only themselves but also Scotland that night and we sat in great excitement whilst home-grown Celtic imposed themselves on the great Milan giants of the game. Dare I say even, a team of our own ‘ilk’ in Celtic, speaking as a Hibs fan. Tommy was hugely instrumental that night and we cheered wildly when his rasping right-footer from the edge of the penalty area hit the net to do Celtic and Scotland proud. The first British team to win the trophy, as is sometimes overlooked south of the border I have to add. Even as a youngster, I was always struck by Tommy’s great likeness to the superb entertainer, Danny Kaye. So alike, they seemed almost interchangeable at times. It amused me today to read in an obituary that Tommy himself was very aware of this fact and indeed saw himself as a master entertainer! Big Tam was not a man to be messed with though as West German internationalist, Helmut Haller found out to his cost after taking a sly kick at the Celtic man in a 1970 World Cup qualifier against Scotland. Tommy chased Haller down and simply kicked him up in the air after the whistle had blown. The full back would tell a tale in later years that he was ‘still looking for his foot’ after the incident! Unfortunately, Celtic Chairman, Sir Robert Kelly was not amused, claiming that Tommy had besmirched the name of Celtic with his aggressive behaviour which resulted in Celtic Manager, Jock Stein dropping him for the Scottish League Cup Final the week after. Not best pleased, Tam immediately slapped in a transfer request which he later withdrew. Damage, perhaps lasting, had been sustained to his relationship with the legendary Parkhead Manager though. Tommy later played 39 times for Nottingham Forest and on 94 occasions for Dundee before retiring to a stint in management with Dundee and Albion Rovers. He will be remembered for his dynamism, power and irresistible, surging ability from his defensive position. He was most certainly one of Scotland’s greatest men. God Bless, Tommy. Sleep well.